West Virginia House Majority leader Daryl Cowles (R-Morgan) can’t bring himself to say publicly what the Republican Governor Jim Justice, Republican Senate President Mitch Carmichael and Republican House Speaker Tim Armstead have said publicly – that West Virginia Supreme Court Justice Allen Loughry should resign. Loughry was indicted last week on multiple counts of public corruption. 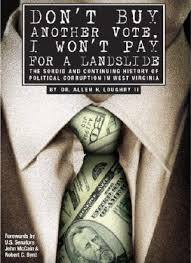 Loughry is the author of the 2006 book – Don’t Buy Another Vote, I Won’t Pay for a Landslide: The Sordid And Continuing History of Political Corruption in West Virginia. Cowles appeared last week on WRNR’s Eastern Panhandle Talk with Rob Mario and David Welch. Mario and Welch tried repeatedly to get Cowles to say that Loughry should resign – but Cowles refused. “If you are going to wait until he is found guilty or not guilty, that’s going to be a long wait,” Welch said. “Wait for what Dave?” Cowles asked. “Wait for him to be found guilty,” Welch said. “I’m saying they (Justice, Carmichael and Armstead) have already called for his resignation,” Cowles said. But Daryl Cowles couldn’t bring himself to do it. Cowles will face off against two candidates in November – Independent Brooks McCumbee and Democrat Bibi Hahn. Hahn has said that she will make the corrupting influence of corporate cash a major issue in the campaign against Cowles. This election cycle, Cowles has taken contributions from the pharmaceutical industry ($1,000 from Pfizer, maker of opioid products), the tobacco industry ($1,000 from Altria, maker of Marlboro, Benson & Hedges and Virginia Slim cigarettes, among other brands), fossil fuel companies ($500 from Exxon Mobil) and from big box stores seeking to get a foothold in Morgan County ($500 from Wal Pac – the Wal-Mart political action committee). Most troubling was the timing of a $500 contribution to Cowles from TransCanada. Cowles has been promoting the proposed TransCanada pipeline that will cut under the Potomac River just west of Hancock, Maryland and connect with the proposed Mountaineer Gas pipeline. The combined TransCanada/Mountaineer Gas pipeline will transport the fracked Pennsylvania natural gas to Berkeley County. At the hearing, Cowles called the $20 million TransCanada pipeline project critical to the economic development of the region. Cowles said that TransCanada “has a good track record. . .” The rest of his sentence was drowned out by loud and derisive comments from the citizens gathered at the hearing – the vast majority of whom were opposed to the pipeline. On December 26, 2017, exactly one week after testifying in favor of the pipeline, Cowles deposited the $500 check from TransCanada into his campaign account. 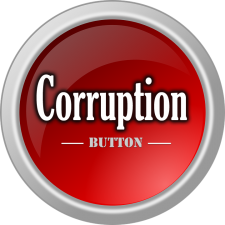 The U.S. Attorney in Charleston has put up a “Corruption Button” on its home page.